A very lighthearted way to experience travel! Visit your neighborhood, your country and the world with the unlikely explorers, The Cow and The Horse. Whether a five-minute or hour-long journey, these endearing characters will leave you wanting to see the world. Jean Dickinson grew up in Northern Minnesota, but has had the opportunity to call many places home. She loves reading, writing, knitting, and especially travel. She met her husband when the GIs came home after WWII and together they lived on the GI Bill. Their combined love of adventure motivated them to spend their savings on biking in Europe one summer soon after WWII. Since Jean did not want a professional career, she has been free to live and raise children in 15 different localities. This lifestyle gave her the opportunity to travel extensively. 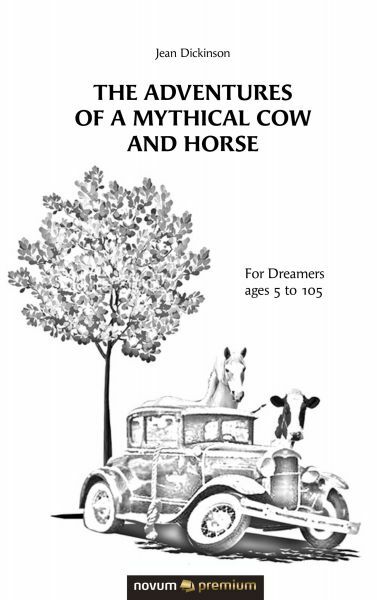 The Cow and The Horse arrived one night, and they have provided her with the opportunity to retrace many of her adventures. This is not the end of her travels, or those for The Cow and The Horse!